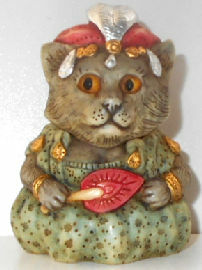 Here is a Harmony Kingdom figure with a cat as the Queen of Sheba. 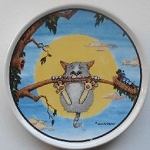 This figure is 2 3/4" high x 1 3/4" wide, Inside the figure is an image of a ring. Previously owned but in new condition.